Lasith Malinga has been picked up in the squad despite having played last ODI in November 2015. Angelo Mathews who also had suffered a hamstring injury returns to lead the side. Meanwhile, Kapugedera who haven’t played an ODI for almost a year has been selected in the side. Dilruwan Perera and Danushka Gunathilaka will be the standby players on tour, while Vikum Sanjaya, Lahiru Kumara, Sachith Pathirana, Milinda Siriwardana and Akila Dananjaya have been named in a standby list for substitutions. 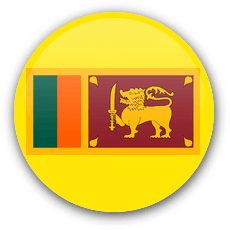 Sri Lanka squad: Angelo Mathews (capt), Upul Tharanga (vice-capt), Niroshan Dickwella, Kusal Perera, Kusal Mendis, Chamara Kapugedera, Asela Gunaratne, Dinesh Chandimal, Lasith Malinga, Suranga Lakmal, Nuwan Pradeep, Nuwan Kulasekera, Thisara Perera, Lakshan Sandakan, Seekkuge Prasanna.